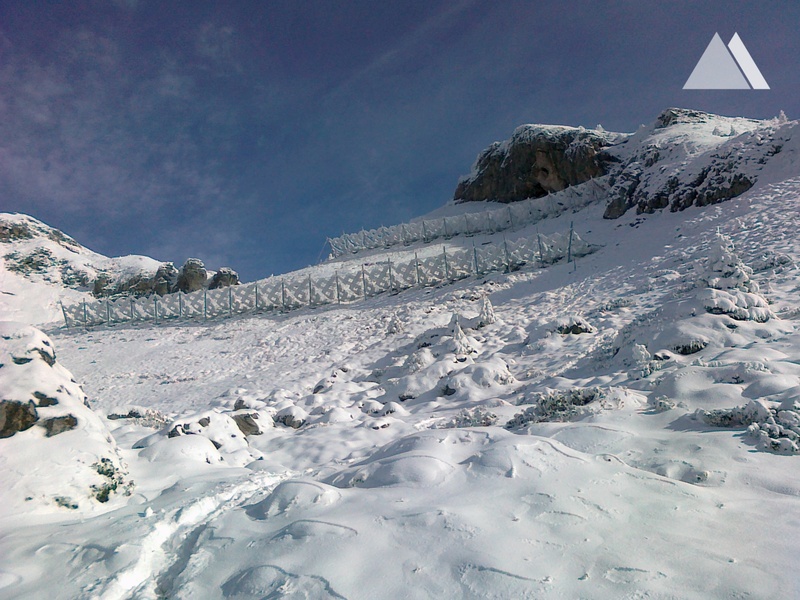 In winter 1999 (well remembered in the Alps for extraordinary snowfall and avalanches) National Road 28, to the ski resorts of Klosters and Davos, had to be closed. The inital location of those avalanches was the perimeter of this project. 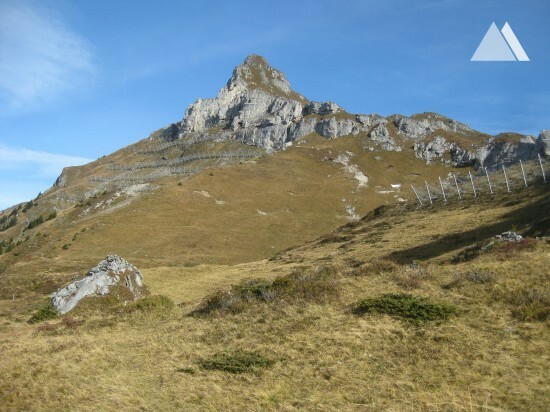 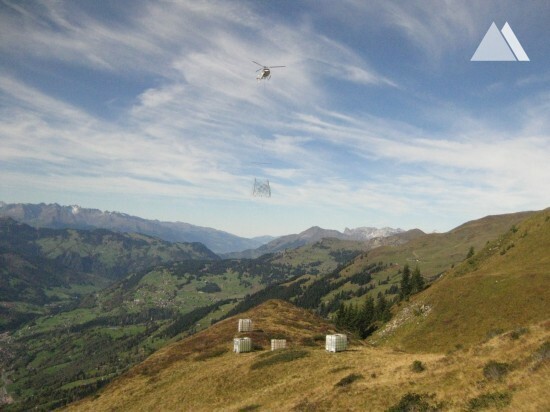 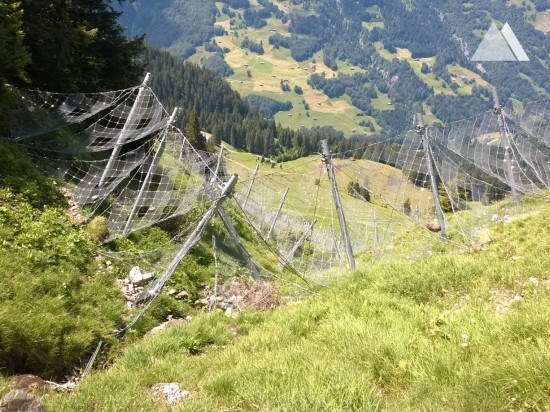 To ensure that avalanches of such scale and influence would not emerge from the Geisshorn mountain, the Federal Roads Office (ASTRA) and the Forest and Natural Hazards Office of the canton Grison, (AWN) entrusted the engineering company of Tur GmbH, to plan a mitigation solution. 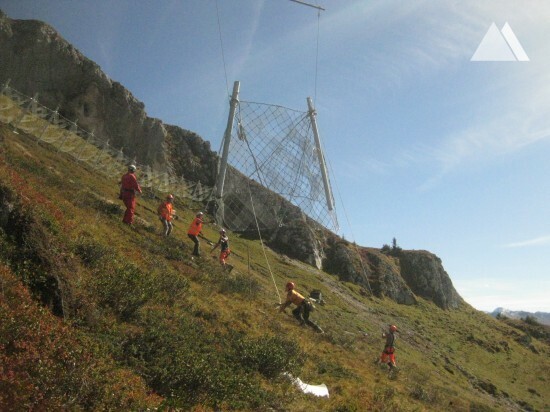 Due to its location, under the rockface where little rockfall is possible, Tur GmbH decided to use Snow Nets rather than rigid steel structures. 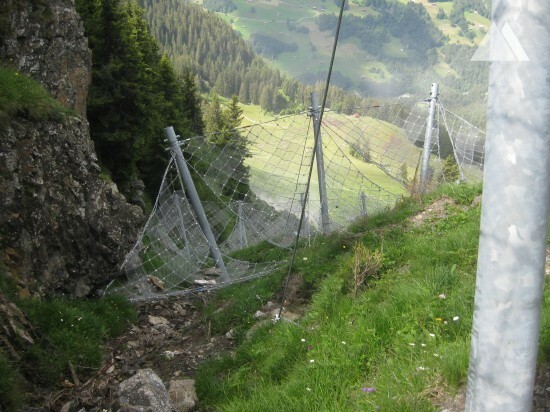 This led to the installation of nearly 2000 [m] of Geobrugg avalanche protection barriers (so called Snow Nets).